Take your pick from our personal recommendation as well as the car parks that have left our customers completely satisfied with the facilities and service offerings. With a rating of 91/100 from more than 500 satisfied customers, you wonât go wrong with Jetparks Terminal 3. It is situated in close proximity to the terminal building and is completely secure. 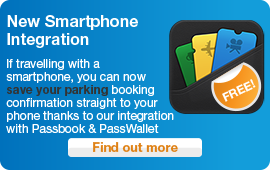 Request a quote now and see why Jetparks is the best selling car park at Manchester Airport. APH Parking received the highest ratings at Manchester Airport by our customers. This award-winning car park has been recognised for its safe and well-secured parking areas, excellent service and convenient location. Purchase your airport parking at APH for a more than satisfactory experience. Jetparks 1 and 2 is a value-for-money car park trusted by our customers. It has won the Park Mark Award for safer parking, so you can rest assured your vehicle is in a secure facility while you are away. The friendly staff and good service are added bonuses.